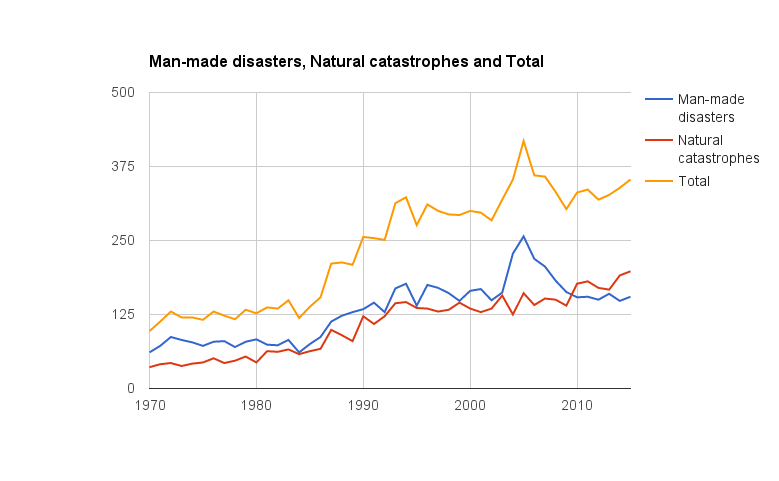 Natural disasters like this are increasing in severity and frequency. They can occur anywhere, even in places not considered to be at high risk. Christchurch in New Zealand, for example, was not a place readily associated with high earthquake risk before the 2011 earthquake – unlike the country's capital, Wellington, which sits near the main fault lines. As well as the impact on lives, uninsured losses following catastrophes can influence countries' economic growth for several years. The threat to the future development of our world is very real. To prepare for these challenges both the public and private sectors, including the reinsurance industry, must take bold and decisive action today to create the resilient societies and economies of tomorrow. Roads, railways, ports and other infrastructure are the building blocks for long-term economic and social development. They must be constructed – or retrofitted – to withstand natural disasters. This is already happening in some places: in Japan, actions to strengthen infrastructure long before the 2011 earthquake and tsunami meant damage to the country's key infrastructure was lower than the outcome of similar events in other parts of the world. This saved lives and reduced some of the economic costs. Bridging that gap is particularly important for emerging markets, where infrastructure needs are the greatest. As the World Bank has noted , the lack of infrastructure comes at an enormous economic and social cost. Over 1.3 billion people – almost 20% of the world’s population – still have no access to electricity; 768 million people worldwide lack access to clean water; and 2.5 billion don't have adequate sanitation. Tapping into long-term investors' capital could help. Managing around $27 trillion worth of assets globally, and with long-dated liabilities, the reinsurance industry is a natural fit. 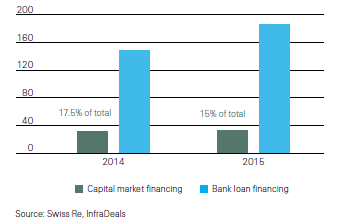 But despite long-term investors' appetite for infrastructure debt investment, the process remains complex and every project is regarded as unique. The consequence is predictable: politicians complain that they can't find investors to build essential infrastructure; investors complain about the lack of projects that suit their risk and return profiles. People, both in developed and emerging markets, are left with rundown airports, clogged metro services and power cuts. The first step to unlocking long-term investors' funds is to introduce a standardized infrastructure asset class on a global scale. The European Financial Services Roundtable has put forward a template for documentation and disclosure , which could serve as a starting point for a shared public-private sector understanding and good market practice. Despite recent global policy efforts and acknowledgement that a tradable asset class is required, we have not yet seen a great deal of change. Swiss Re is, therefore, developing an infrastructure tradability indicator – a quantitative tool designed to help investors and policy-makers assess the progress achieved, and bring infrastructure debt another step closer to becoming a standardized and tradable asset class. Such an asset class would make the investment process simpler , giving long-term investors more confidence to invest and taking some of the financial load off governments' shoulders. Ultimately, the flow of funds to infrastructure would create jobs, provide access to food, water and energy, and lift people out of poverty. With the world population growing, this has never been more important: the concentration of economic and social assets in metropolitan areas will increase in coming decades and the impact of natural catastrophes will rise even more if we don't prepare now. Last year, for example, Swiss Re partnered with local government in China's Guangdong region to launch a pilot insurance programme covering the province against losses from tropical cyclones and excessive rainfall. Guangdong is responsible for over $1 trillion of China's GDP, but is heavily exposed to natural disasters. The programme uses rainfall and tropical cyclone wind speed indices to trigger policy claims, ensuring fast payout to help those affected recover quickly. Super-typhoon Haima triggered the first payout to the city of Shanwei less than a week after the disaster struck. Talks at the World Economic Forum this week are an important platform for foresight. But it's the action taken afterwards that will make the difference: funding resilient infrastructure through a standardized asset class and innovative public-private solutions will ensure people, like those in central Italy, are better prepared for future events.